So while you’re trying to convince the check signer in your organization that knowledge of system configurations is a good thing from operational, business continuity, and security perspectives, you might want to consider PsInfo. 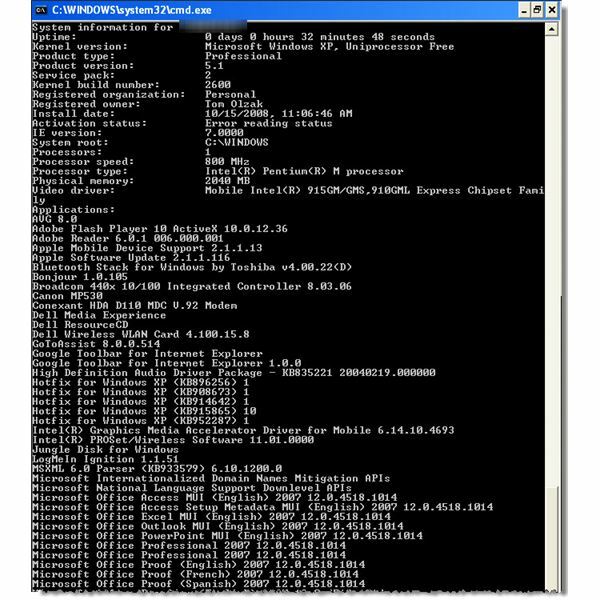 PsInfo is a free, downloadable utility in the Microsoft Sysinternals utilities suite. It is a command line utility with several parameters which add some flexibility to how you use it, as shown in Figure 1. 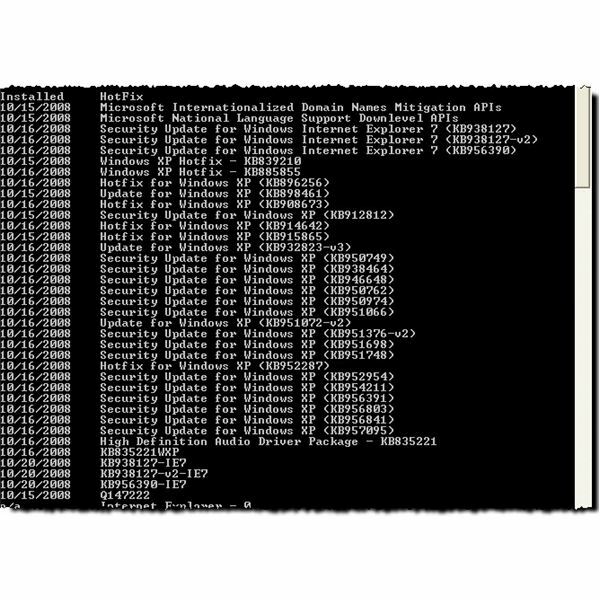 As you can see from the syntax shown at the left, you can use PsInfo to display information about the local computer or a list of remote computers. From a security perspective, the “\\*” syntax is a little scary. When used, PsTools will scan all systems in the current domain—not something you want a black hat running on a compromised company system. The following are some examples run on a laptop I imaged for PsTools testing. Running PsInfo with no parameters specified results in a listing of the overall system configuration, as shown in Figure 2. The intended use for the –s parameter, as shown in Figure 1, is to list all installed applications. When I used it, however, PsInfo -s provided a complete view into the inner state of my machine. See Figure 4. I not only received a list of applications and drivers, I also got the same information I received when using PsInfo with –h and no parameter. In other words, it acted like a “show all” flag. 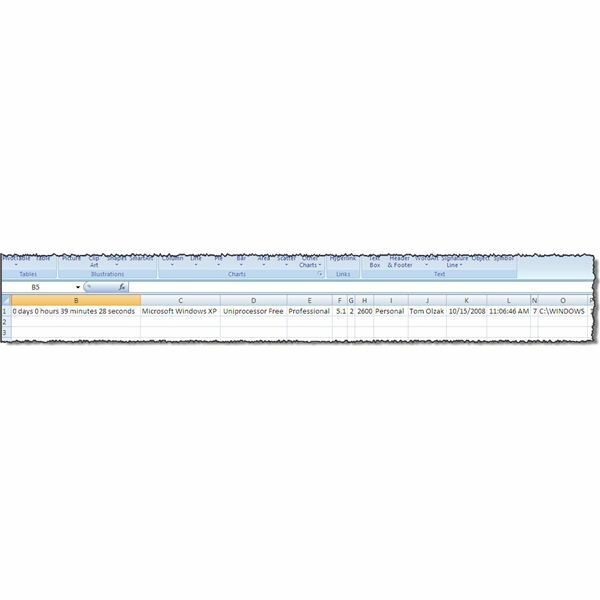 I imported ExportText.txt into Excel as shown in Figure 5. (The computer name is provided in the first column, hidden in this graphic.) However, importing the information into a database for access by maintenance applications is probably more useful. Like all useful utilities which provide system mapping capability, PsInfo is not something you want run against enterprise devices by unauthorized personnel (i.e., bad guys). 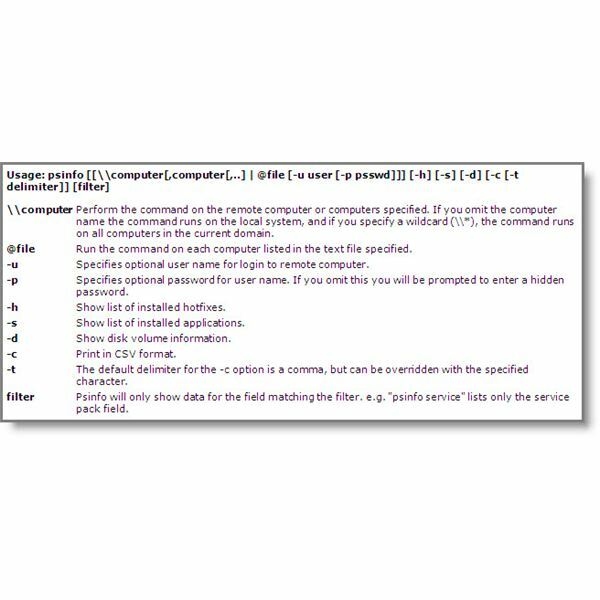 To ensure only authorized direct access to configuration information contained in the registry, only a small number of accounts, protected with strong passwords, should have access to HKLM\System. To completely shut down remote device registry access via PsInfo, disable the Remote Registry service.